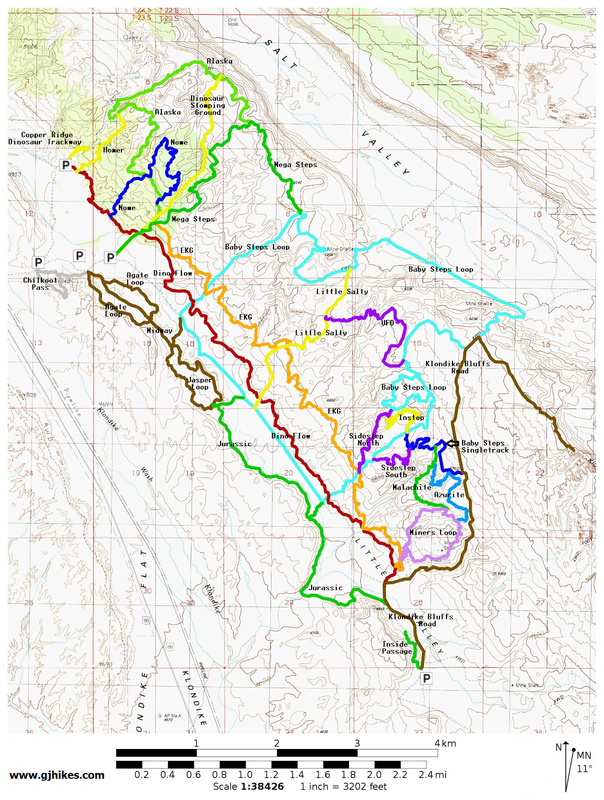 The Instep trail is located in the Klondike Bluffs Area north of Moab, Utah. The trail makes a connection between the Baby Steps South and Sidesteps North trails. 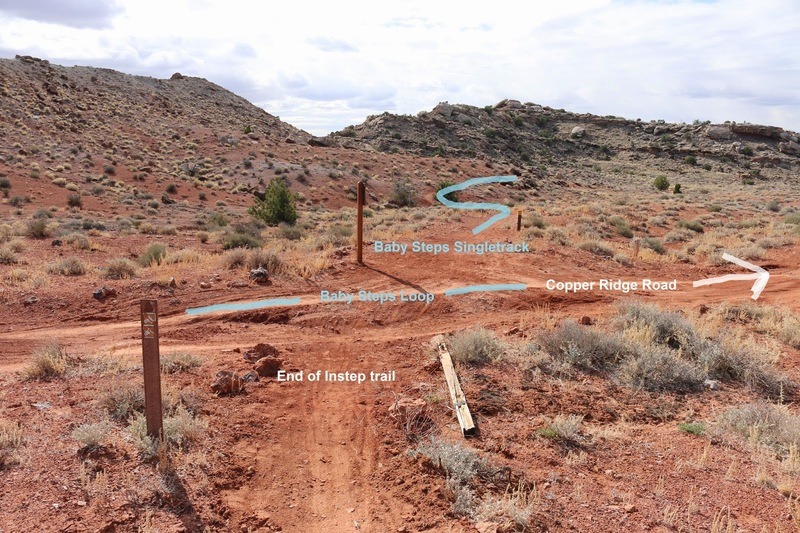 The Instep trail is one of about a half dozen trails that have been added around the Baby Steps South area to create some fun and interesting connecting routes. For those that haven't been to the Klondike Bluffs lately they will find that a lot has changed in the way of trails. For this post we began at the Sidestep, or north, end of the trail. We got there by riding up Baby Steps South to the EKG trail and taking the Sidestep North trail from there to get to here. Beginning at this end of the Instep trail it is pretty much an all downhill journey. The trail makes use of several switchbacks to get down off of the ridge. Once the trail levels off it follows a course that takes it around the upper end of the valley along the base of the hillside. It is pretty great when they design these trails to take advantage of the natural setting as though a landscaper came along and decorated them afterwards. A pretty bush here and an ornamental boulder over there. The trail actually does a lot of meandering as it works its way around the head of each wash. This wash has a mostly level rim to race around. The trail might be short but it is packed with a lot of nice scenery. Like all good things this too came to an end when it reached the Baby Steps Loop. A right turn here will take you back down the mountain to the Copper Ridge Road and other trails while a left turn will take you on around the Baby Steps Loop. On this ride we kept going straight on the Baby Steps Singletrack and eventually ended up on the Klondike Bluff Road. If you would like to see it for yourself then all you have to do is grab your bike or 'Take a hike'.